We Listen, We Care, We Help! 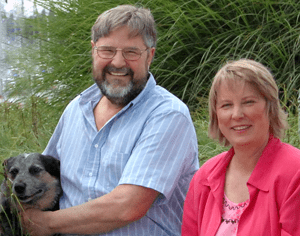 Having represented thousands of clients disability cases since 1980, Maddox and Laffoon PS of Olympia Washington is your experienced choice dedicated to helping improve your quality of life. Steve and Jeanette have been working in this specialized area of law a cumulative of over 70 years! They and their warm and friendly staff make the process of obtaining benefits as easy and stress-free as possible for you. We believe that working for and with great people will help generate great results! Dear Jeanette, I never really got a chance to say Thank You! The hard work of you and your staff has truly changed my life. I just can’t believe it is all over. I feel as though I can start a new chapter of my life. Thank you again. I wanted to let you know how much I appreciate all your hard work. You are a great team & I couldn’t have done it without you. Thank you again from the bottom of my heart! Thanks for all you both have done to bring this case to a close. You just do not know how much stress relief it is to have this behind me. I only wish you could have handled the L&I part of this disability. I really appreciate the working relationship you have been doing with my L&I attorneys. Thanks again!